Redevelopment of the Cogswell interchange in downtown Halifax will take noisy truck traffic into account. Demolition of the interchange could begin next summer. Regional council has already approved the street grid, but city officials are looking for public input into the design of the public spaces such as parks, transit hubs and bike lanes. The city's project manager, Donna Davis, said the port authority is working on a plan to reduce the number of trucks using the roads and the new road network will also reduce the speeds they can travel. 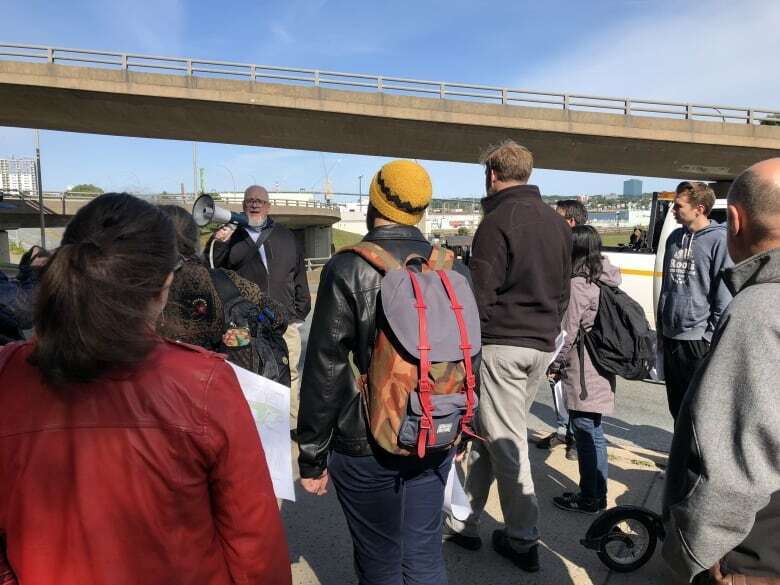 "Right now they are going through at highway speeds, so that is affecting how noisy they are," Davis said during a walking tour of the site Tuesday. Consultant Jeff Haggett, who led the tour, also suggested that vegetation and fountains could help with the noise issues. Up to 270 trees could be planted in the new Cogswell district. Ben Hammer, an urban planning student, went on the walking tour and plans to take part in one of the workshops being offered on the redevelopment. The sessions began Tuesday and continue Wednesday. "This is a once-in-a-generation opportunity to reconnect parts of the city," said Hammer. "I'm excited by the bikeway and I want to see comfortable transit waiting areas." Some of the ideas from the workshops will be displayed Friday afternoon at Scotia Square. 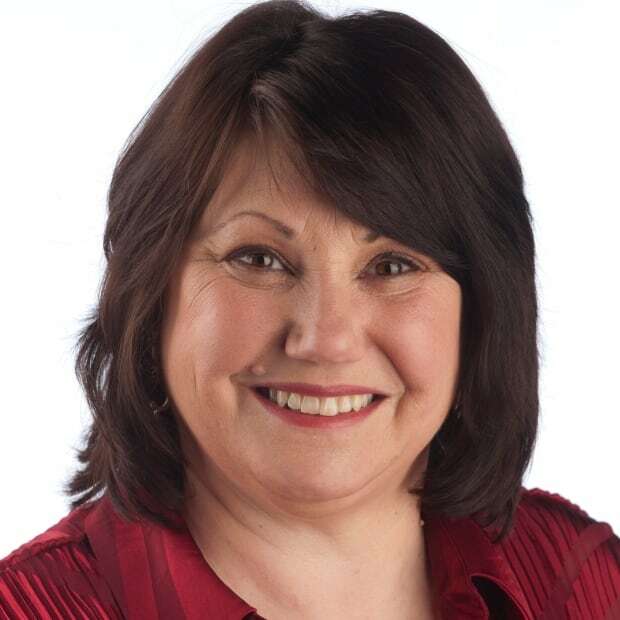 A final design report is expected to be ready for regional council in December or January.